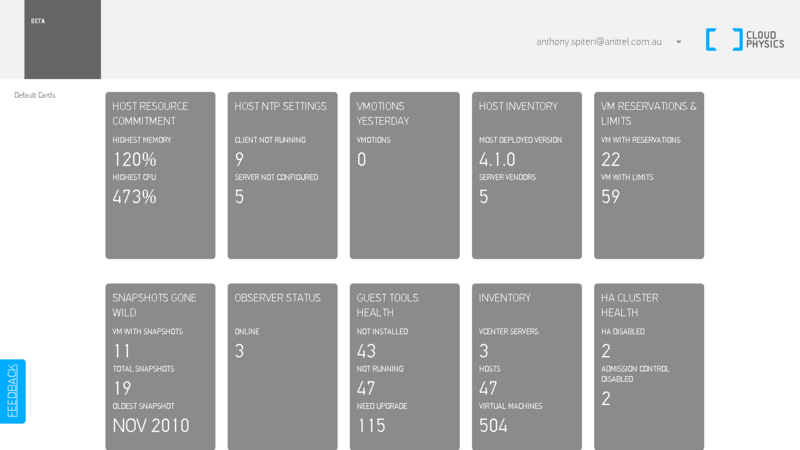 Monitoring Archives - VIRTUALIZATION IS LIFE! A few months ago I was lucky enough to spend time with a couple of the founders of Runecast, Stanimir Markov and Ched Smokovic and got to know a little more about their real time analytics platform for VMware based infrastructure. Soon after that I downloaded and deployed it in my lab and have been running it for a few months. In that time I’ve come to understand and appreciate the value that it adds to the operations and management of any vSphere platform. Having been part of, and led teams that operated and managed large vSphere based cloud platforms one of the challenges of managing any platform of size is how to stay on top of issues operationally…not only when and as they happen, but also before then happen. Proactive monitoring and alerting that pinpoints issues before they happen is invaluable and up to this point I haven’t found a product that focuses in as specifically as Runecast does to help solve that challenge. In the past I have researched and used more than a few tools on the market and probably the closest comparison that I can make with Runecast is what CloudPhysics tried to do with their Knowledge Base Adviser feature. For those that have used CloudPhysics in the past Runecast will feel somewhat similar in theory, however Runecast have taken what CloudPhsyics had done and taken it to the next level. By using a number of resources within VMware’s knowledgebase Runecast is been able to deliver a platform that looks at best practices, log information and security hardening guides to monitor your vSphere infrastructure which in turn brings to your attention through a simple yet intuitive interface to issues that may exist. Proactive analysis is the name of the game and it’s one of the holy grail’s for any operations team. Prevention of an issue before it occurs is what Runecast sets out to achieve and for service providers that are running critical line of business applications for their clients (which is all service providers) the ability to prevent service disruption is huge. Apart from the obvious benefits around proactive analytics, one of the best features for service providers is the security hardening feature. Lots of service providers these days are being governed by specific regulations and compliance and security has become front and center of any platform owner. With the security hardening feature it points out specifically what passes and what fails as per the official VMware hardening guide. I can also see how the specific inventory feature for vCenter objects can be developed in the future to allow service providers to expose certain information via the Runecast APIs to their tenants. I’d love to see some integration with vCloud Director, NSX and vSAN among other VMware platforms…there is serious potential here. The API endpoints that are being exposed version to version means that service providers can take the information presented and manipulate it their hearts content. It providers a powerful way for service providers to take full advantage of the data that’s being collect and analyised. This is, for the most a targeted analytics system that focuses on getting you the relevant information quickly and without fuss and allows you to ascertain issues and work towards their resolution. I’m looking forward to seeing what the guys come up with over the next twelve to eighteen months as they further enhance the capabilities. Disclaimer: Runecast are sponsors of Virtualization is Life! So what is it? The new service is called Knowledge Base Advisor. This service matches the virtual datacenter profile of CloudPhysics users to knowledge base articles published by top virtual datacenter vendors including VMware, DELL, IBM and more. We join detailed knowledge of our customers with support content to create filtered, highly relevant and personalized support content for issues which may be present in their environments. As of today the CloudPhysics Web App has had a major make over and now looks even slicker than before. The card its self is shown below, and gives you a brief overview of what’s currently happening in your environment as picked up by the CloudPhysics Probe VAs. Clicking into the card you are presented with a list of Critical Issues relevant to your environment. It’s worth mentioning that just because an alert has been been detected it’s more of a proactive warning at this point. Obviously everybody’s environments are different and with that, these potential issues manifest themselves under varied conditions with differing trigger points. Clicking in the alert box will expand to show you the affected hosts as it applies and by clicking on the KB Description are taken to a framed CloudPhysics page that loads up the specified KB Article. In my environment I had 200+ alerts, (16 of which where Critical, 86 High and 104 Medium), so being able to sort through and organise the alerts is crucial. The left hand menu lets you construct your own search queries base on a number of heading options. 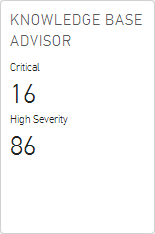 The CloudPhysics team are great at reaching out for feedback and I’m proud to report that based on personal feedback the card has enhanced features and options that let you better deal with the initial large number of alerts that are shown. Once you have taken note of the issue you now have three options to deal with the alerts, Problem Fixed, Uninteresting and Not Relevant. It’s great to see CloudPhysics evolve past numbers and metrics…that isn’t to say that that’s not where it’s greatest strength lies…but the more CloudPhysics can take your collated data and spit it back to you in the form of useful information, the more powerful and invaluable this platform becomes. Once again, CloudPhysics continue to blow me away with what they have been able to achieve in a little over 12 months since announcing themselves at VMWorld 2012…I look forward to more card releases and how they will continue to assist myself and other operations teams in better understanding and managing their vSphere environments. The boys at CloudPhysics are working hard behind the scenes at adding new features to their current stable ofÂ AnalyticÂ Cards based on data collected from their Probe VA’s hooked into vCenter environments. For a general overview, goÂ here: I am a massive fan ofÂ analyticsÂ and trend metrics and I use a number of systems to gain a wide overview of the performance and monitoring of our Hosting and Cloud Platform. A few weeks ago, the CloudPhysics team released to a limited number of users a Custom Card Designer. This pretty much lets you construct custom cards based on a huge number of metrics presented via a builder wizard. Cards you design and save are listed on the page above. From here you can view your custom cards and edit them if they require tweaking. Once you click the Create Card + button you are presented with a list of property data metrics from which to construct your card. Properties fall under four mainÂ categoriesÂ and there are a large number ofÂ availableÂ metrics under eachÂ category. The wizard lets you drag and drop items into the builder window. From there you can preview and then save your custom card for future use. As a quick example I needed a quick way to see which datastores where connected to their respective hosts in each cluster so thatÂ consistencyÂ in datastoreÂ availabilityÂ was maintained. It was as simple as dragging across Host:Name and Host:Datastore, putting in a filter to only view hosts of a certain name it was ready to go. You have the option to preview and continue editing, or saving to the Card Designer main page. From that page you can execute the query. The results of my quick test card are shown below. One thing I would like to see is an option to export the results to a csv or excel document…but other than that it’s a great example of what CloudPhysics is all about…data and how to get the most out of it as efficiently as possible. I first came across CloudPhysics just before VMWorld 2012. For a general overview, go here: I am a massive fan ofÂ analyticsÂ and trend metrics and I use a number of systems to gain a wide overview of the performance and monitoring of our Hosting and Cloud Platform…as well as extending out to client systems. 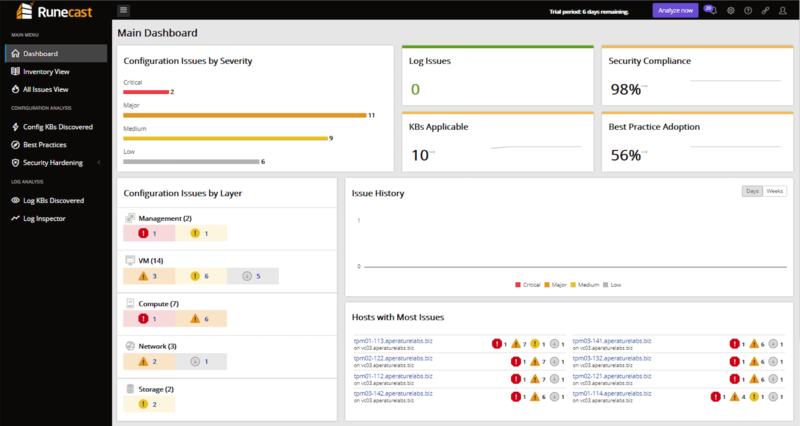 I love the deep/complexÂ analytics of VMware Operations Manager but sometimes I feel a sense of being overwhelmed with the sheer amount of data presented by the default views of vCOPs and working with the Custom Dashboards can be a frustratingÂ exerciseÂ if you don’t have a heap of time and patience. This is where I have found CloudPhysics comes into it’s own…via it’s brilliant presentation of things that matter.Â I’mÂ not going to go through the setup and config, but in a nutshell…from the site, register, login, download and deploy the VMware Probe Appliance, give it an IP and enter in your email address as it relates to your CloudPhysics login. It’s one probe per vCenter, but you can deploy multiple probes toÂ multipleÂ vCenters and links them back under the same username and CloudPhysics App. FromÂ relativelyÂ humble and basicÂ defaultÂ cards released around the VMWorld launch the team has been adding more complex and useful cards. HA Cluster Health and SnapShots Gone Wild are my personal favourites and offer a view into key areas of vSphere management. What’s also great about these cards is that they offer external jump links to VMware KB’s and offer basic information about subject matter. The organisation and presentation of the data pulled by the probe is simple yet effective in allowing you to get an understanding of how your environments are performing and which areas are under stress. Released today was the DataStore Contention Card which looks at the performance of VMFS Datastores in your environment. 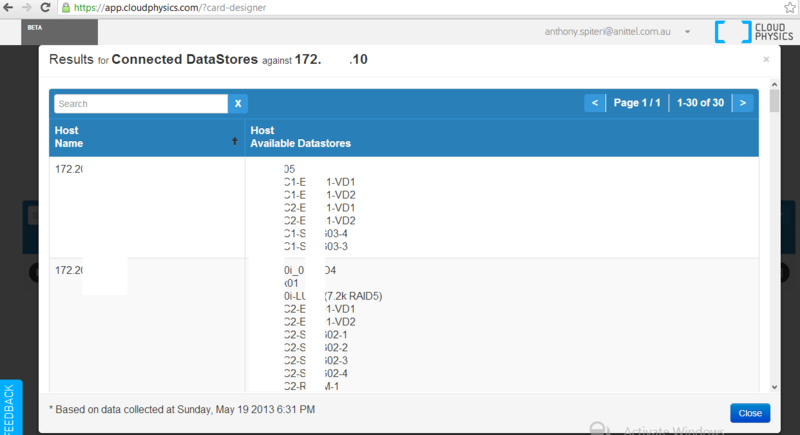 The Default view selects the DataStore that needs the most attention. 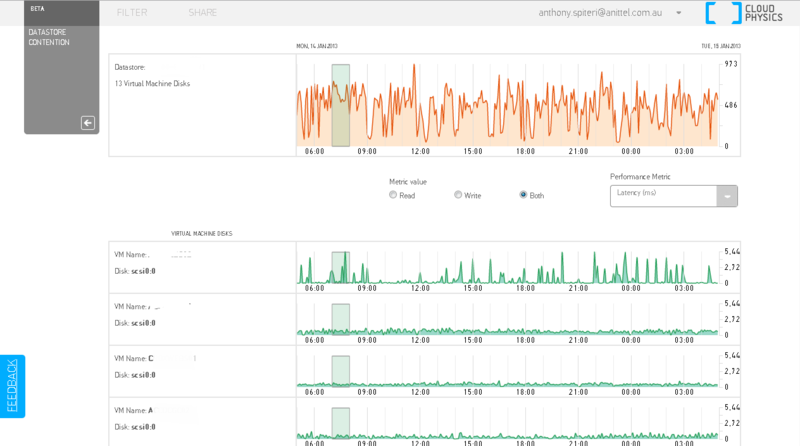 In my case I wasÂ surprisedÂ to see the Datastore below exhibit combined read/write latency that was off the chart! The interface allows you to select a block of time at any level and see which VM may be contributing the most to the Performance Metric selected. 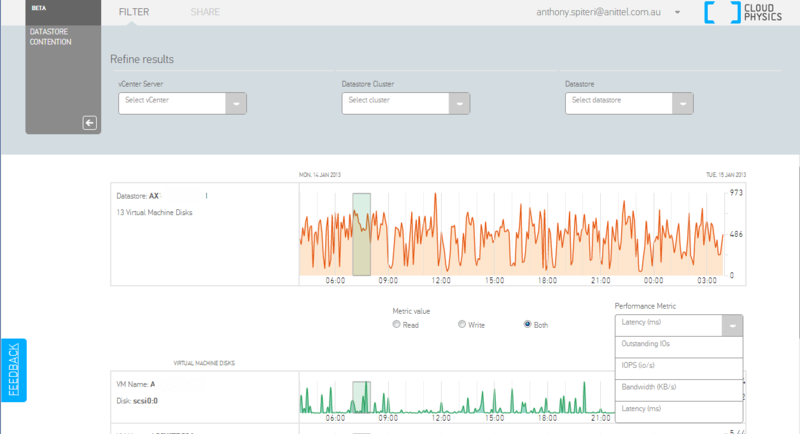 Those metrics are shown below and include Latency, Outstanding I/O’s, IOPS and Bandwidth. 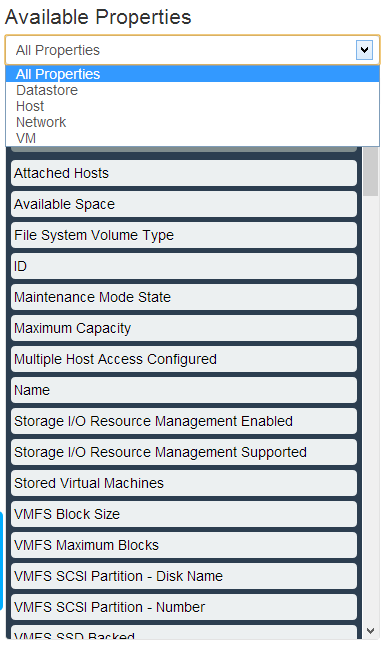 You also have the ability to Â Filter the view by vCenter, Datastore Cluster and Datastore. The screen grabs don’t do the CloudPhysic’s Web Application interface justice so head over the site and download the probe to get started. It must be said that the product is only in BETA so use at your own risk, butÂ I’veÂ had no issues with the Probe VM who’s specs are 2vCPU, 4GB of RAM and 16GB of storage.